How can I set or change my payment methods? Step by step guide to changing your payment method. 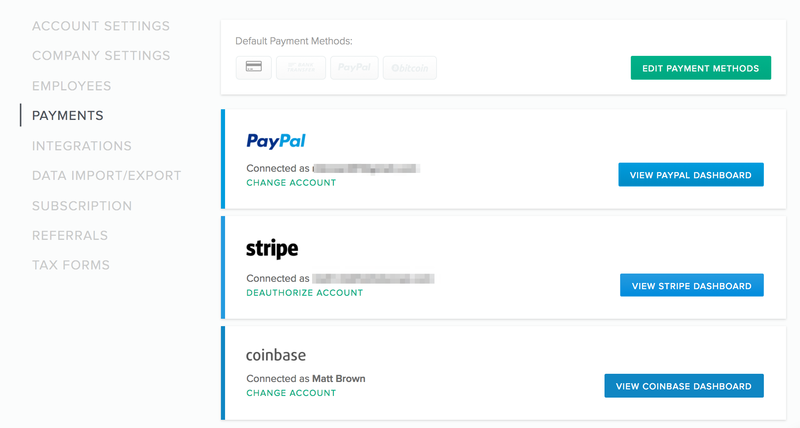 From there, you can connect to your Bonsai account with the payment processors we support: Stripe, Paypal, and Coinbase.  You can also enter bank account details so clients can manually pay you via wire transfer. 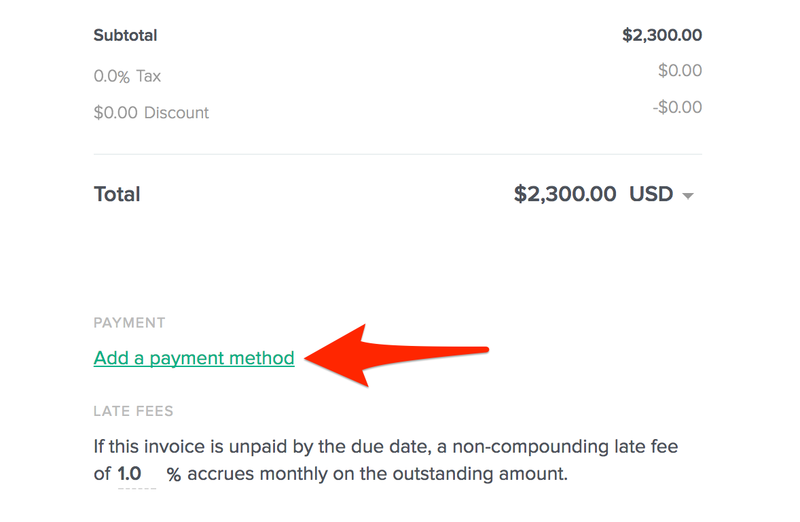 Clicking 'Edit Payment Methods' in the top right sets which payment methods are enabled by default in new invoices.